Commonly the terms interstitial and cornual pregnancies are used interchangeably. However, these are two distinct entities, and are managed differently. An interstitial pregnancy occurs when there is implantation in the proximal intramural portion of the fallopian tube. A cornual pregnancy is when there is implantation in the lateral portion of the uterus. An interstitial pregnancy is an emergency. There has been recent discussion on whether interstitial pregnancies tend to rupture at a later gestational date; however the typical period for rupture of an ectopic interstitial pregnancy is between 7-16 weeks. An interstitial pregnancy is located near the uterine artery and therefore carries a high risk of rapid hemorrhage should the interstitial pregnancy rupture. In contrast, a cornual pregnancy is located in the intrauterine cavity and can be a viable pregnancy. Since the outcomes of these two are distinctly different, it is important to distinguish between the two. When using ultrasound to attempt to locate an intrauterine pregnancy, suspicion should be raised if there is an eccentric gestational sac located in the uterus. Once this concern is raised, a measurement should be taken of the myometrial mantle. If the myometrial mantle is less than 8mm, it is concerning for an interstitial pregnancy, and an emergent OB/GYN consultation should be obtained. If the myometrial mantle is greater than 8mm, it is less likely that the eccentrically placed pregnancy is interstitial. 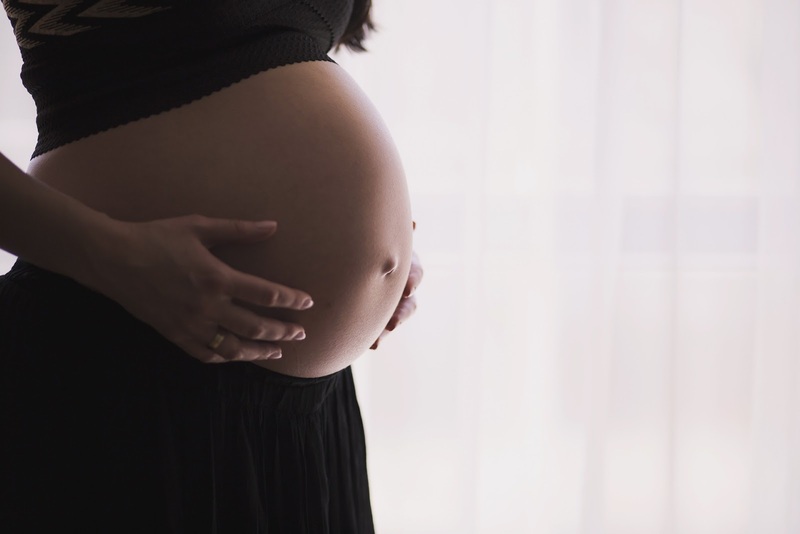 Though a cornual pregnancy can be a viable pregnancy, a consultation with OB/GYN to discuss the case and arrange for follow up is still recommended as the patient will need to be carefully monitored. 1. Lewiss R, Shaukat N, Saul T. The endomyometrial thickness measurement for abnormal implantation evaluation by pelvic sonography. J Ultrasound Med. 2014; 33 (7): 1143-1146. Doi: 10.7863/ultra.33.7.1143. 2. Noble V, Liteplo A, Miller R, Murray A, Villen T. Cornual ectopic pregnancy diagnosed by emergency physician-performed bedside ultrasound in the emergency department. J Emerg Med.2008; 40 (4) e81-82. Doi:10.1016/j.emermed.2008.04.033. 3. Malinowski A, Bates SK. Semantics and pitfalls in the diagnosis of cornual/interstitial pregnancy. Fertil Steril. 2006; 86 (6). Doi:10.1016/j.fertnstert.2006.03.073. 4. Goudie A. Ultrasound features of interstitial ectopic pregnancy: The role of the non expert emergency medicine sinologist. Emerg Med Australas. 2012; 24: 480-481. Doi:10.111/j.1742-6723.2012.01606x.